Launched by UN Secretary-General Ban Ki-moon during the Millennium Development Goals Summit in September 2010, Every Woman Every Child aims to save the lives of 16 million women and children by 2015. It is an unprecedented global movement of more than 250 partners that mobilizes and intensifies international and national action by governments, multilaterals, the private sector, and civil society to address the major health challenges facing women and children. 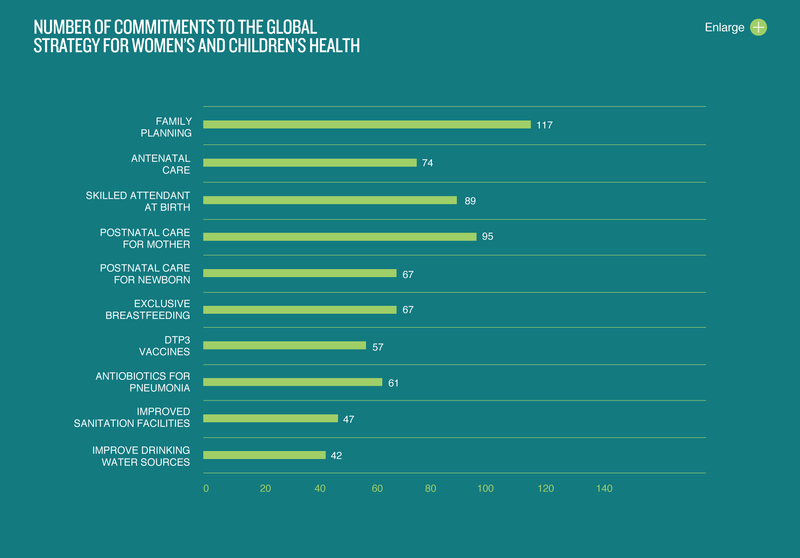 The effort puts into action the Global Strategy for Women’s and Children’s Health (Global Strategy), which presents a road map on how to save these lives through the achievement of MDG 4 (Reduce Child Poverty) and MDG 5 (Improve Maternal Health). FP2020’s monitoring and accountability efforts will complement and contribute to Every Woman Every Child accountability efforts, through the Commission on Information & Accountability framework for global reporting, oversight, and accountability on women’s and children’s health and the independent Expert Review Group. Collaboration with Every Woman Every Child, and the Partnership for Maternal, Newborn and Child Health (PMNCH) and alignment with relevant UN mechanisms are fundamental to the success of FP2020. All political leaders have multiple, urgent responsibilities. Despite their best intentions, and regardless of the merits of an issue, if stakeholders do not persistently, visibly, and persuasively hold leaders accountable, the promises they make may never be fulfilled. Commitments serve to inspire; accountability brings results. Pending ministerial approval, DFID will support an NGO consortium to serve as an accountability secretariat for country-led efforts to hold leaders accountable for their FP2020 commitments. The consortium will coordinate with FP2020’s PMA WG and Task Team to complement existing accountability efforts, such as Advance Family Planning. With support from the Bill & Melinda Gates Foundation, a consortium of European NGOs will advocate funding for family planning as a key element of Official Development Assistance for health. Working in at least eight European countries and at the EU level, it will focus on sustaining and increasing support for family planning above 2012-2013 levels and on honoring FP2020 commitments.